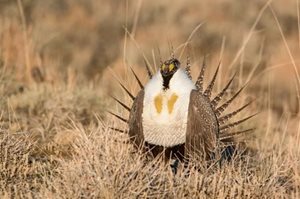 Wyoming Governor Mark Gordon is asking for public feedback to inform his review of Wyoming’s existing Greater Sage-grouse Executive Order. Comments are due by May 1 and should be submitted to wgfd.hpp@wyo.gov. This is an extension of the comment period announced earlier this year at the Sage Grouse Implementation Team meeting.